Amazon confirmed the ban on new submissions that German developer Dirk Jackel reported on Twitter and Hacker News. LAUNCH has contacted Dirk for comment but has not received a response. So far developers from other countries do not appear to have been affected. The Amazon Appstore developer FAQ page has not been updated to reflect the situation in Germany. 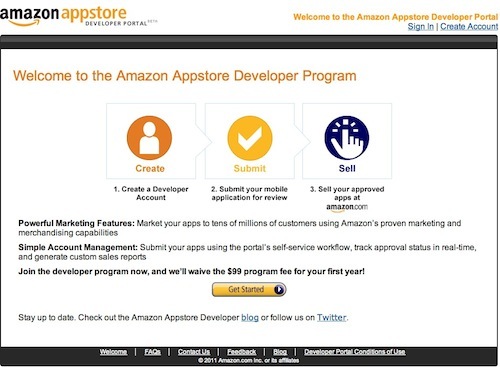 In July, a U.S. judge denied Apple’s request for an injunction against Amazon for using the term “App Store.” A trial date is set for October 2012 in U.S. District Court, Northern District of California.